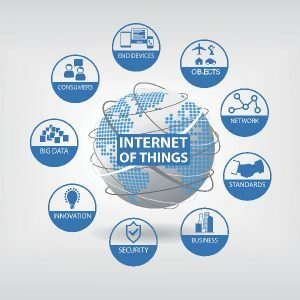 As society and technology progress the “Internet of Things” (IoT) is increasingly becoming a topic of conversation in and out of the workplace. This is a concept that not only has the potential to impact how we live but also how we work on a day to day basis. That being said, we must ensure that we protect this technology in order to prevent catastrophic failure. The question prevails….what happens if these devices get hacked? And what will it do to you? As broadband internet is becoming more widely available, the cost of connecting certain devices with Wi-Fi capability has greatly reduced. Intel in conjunction with the UN deemed that our IoT world is growing at a breathtaking pace, from 2 billion objects in 2006 to a projected 200 billion by 2020. That will be around 26 smart objects for every human being on Earth! The IoT is a giant network of connected “things”, which include people. Your first thought might be; why would I want so many connected devices talking together? There are many examples which demonstrate what the value might “look like” or even be. Say you are on your way to work; your “connected” car could have your calendar on it, and use the internal GPS to select the best route to your office, or your potential meeting. What if your alarm clock wakes you up at 6:30am and then connects to your coffee maker or mini grille? A timed, cooked breakfast sounds pretty good. 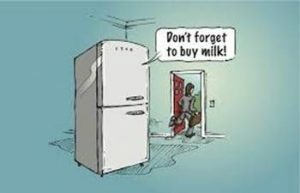 What if your fridge knew when you were short on eggs and milk and had the ability to remind you to pick some up on your smart phone? Conversely imagine if someone was able to tap into your home security system and view your camera or even unlock your smart locks? This can be a major issue when it comes to potential hackers. The huge denial-of-service attack in October that crippled the Internet infrastructure provider Dyn and knocked out much of the Web for users in the eastern United States was “benign,” Bruce Schneier, a renowned security scholar and lecturer on public policy at Harvard, said during a hearing last month held by the House Energy and Commerce Committee. No one died. But he said the attack—which relied on a botnet made of hacked webcams, camcorders, baby monitors, and other devices—illustrated the “catastrophic risks” posed by the proliferation of insecure things on the Internet…meaning, anyone can get affected. For example, Schneier and other experts testified that the same poor security exists in computers making their way into hospitals, including those used to manage elevators and ventilation systems. It’s not hard to imagine a fatal disaster, which makes it imperative that the government steps in to fix this “market failure,” he said. The problems with IoT devices are worsening because manufacturers lack incentives to prioritize security. Even if consumers wanted to assess the relative security of Internet-connected thermostats and other devices, there are no established ratings or other measures. My question is who will police it? How will we accomplish this? – U.S Chamber of Commerce? Schneier argues that we need a new agency in charge of cybersecurity rules. Massive and growing, says Kevin Fu, a University of Michigan professor of computer science and engineering who specializes in cybersecurity. Not only are IoT devices being added in “sensitive places that have high consequence, like hospitals,” Fu said, but millions of them can be easily hacked and gathered into huge botnets, armies of zombie computers that adversaries can use to debilitate targeted institutions. Here at Lanworks we are working with industry leaders to ensure that all devices receive the same attention when it comes to security and protection. We are aware of these issues and we wanted to make you aware that this will be massive going forward. Just remember whenever you connect a device to the internet there is always the chance of someone exploiting it.